This hotel is great if you’re after a retreat-style get-away. Reeds Health Club and Spa has all the leisure facilities you would expect, as well as some you wouldn’t, for a well-rounded spa experience. There’s also Marco Pierre White’s restaurant, where you can enjoy an evening of fine-dining. 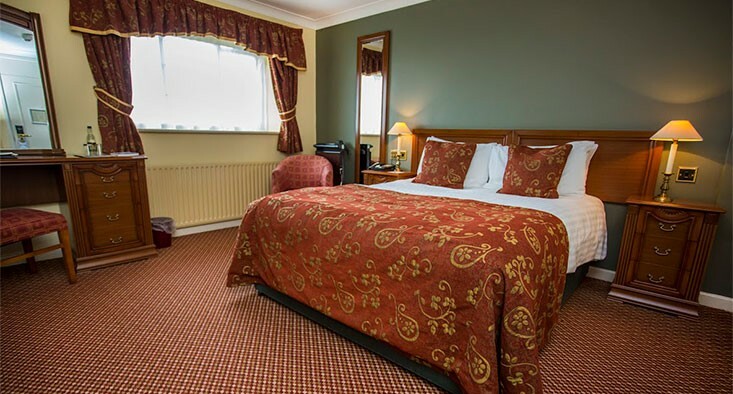 The Hotel is situated within a mile of Junction 24 of the Ml motorway and it’s also about a 10-minute drive to East Midlands Parkway rail station. It’s a short drive from the National Exhibition Centre and International Convention Centre, if you’re travelling for business, pleasure, or both.